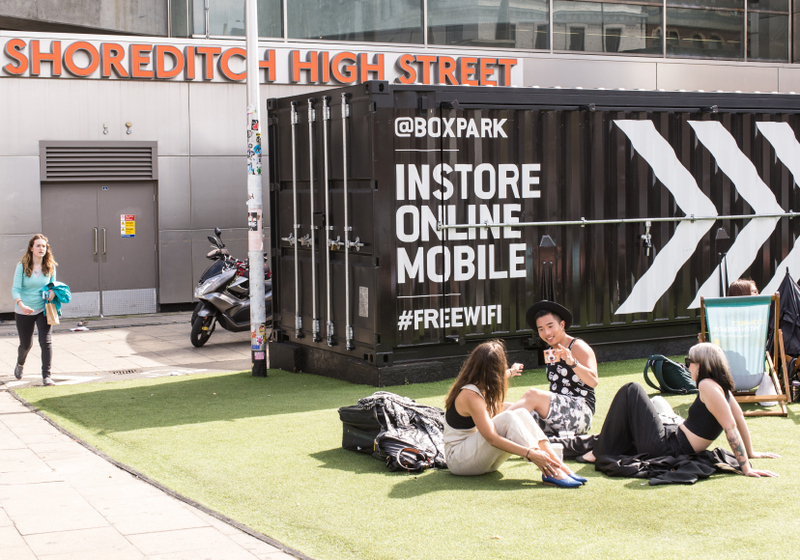 Pop-up containers are some of the most flexible solutions available when trying to create the perfect business or living space. Shipping containers have been used for transporting goods for many years, but today these pop-up containers have a variety of more unusual uses. Although pop-up containers have been rising in popularity across the world for many years, there are still some misconceptions when it comes to creating shipping container spaces. In this article, we will debunk some of the misconceptions which you may have heard about pop-up containers. If you are looking to create an inexpensive home or business area, pop-up containers can be a low-cost alternative to traditional building methods. The trend of using pop-up containers to build homes and business spaces started when an increasing number of people were priced out of the market. 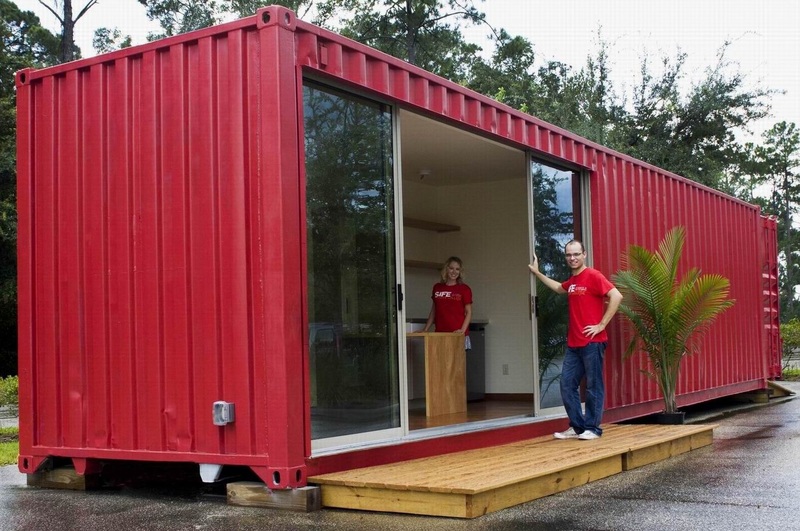 The containers were seen as an affordable solution to create a home or business, without having to take out large mortgages. The flexible nature of shipping containers means they can be tailored to suit every requirement, so the investment required for different levels of finishes is entirely up to you. If the final design includes no additions such as exterior cladding and expensive internal finishes, it is possible to save as much as 40% on construction costs, using traditional materials. If you are looking for the most environmentally friendly option, take a look at used containers which can be easily recycled into attractive and comfortable living and workspaces. It is estimated that there are around 24 million unused containers around the world, with many being retired from use after only ten years. The high-quality recycled containers we source are a great option if you are looking to reduce the environmental impact of your build. If you are looking for brand new containers, there will be a larger impact on the environment than sourcing a recycled option. However, our team of engineers will manufacture everything to ISO standards, using corrosion resistant steel for maximum durability. This will ensure the longevity of the container, to reduce the maintenance requirements of the container over its lifetime. Although building with a single container will create a compact space, there is no need to stick to one container. The size of the space is limitless, as it is possible to build additional rooms and levels with extra containers which interlink to create a spacious home or business area. This flexibility in design means it is possible to create a unique space which meets your exact requirements for comfort and usability. A properly manufactured and installed container will be very secure. Our engineers install durable locks, which will guarantee everything is safe. We can even manufacture the space to resemble a standard shipping container from the outside for additional security, making them unattractive to potential thieves and intruders. Although shipping containers are not designed to be buried underground, it is still possible as long as they are structurally reinforced. If a shipping container is buried, its corners will need supporting, which will evenly distribute the additional weight. Many people overlook the possibility of building with a pop-up container, because they believe the space will only be temporary. In fact, shipping containers are actually more durable than traditional methods of construction. A pop-up container is the strongest structure available and will be more durable than most concrete, wood and other steel constructions. Shipping containers are able to withstand winds of up to 175mph. Although here in the UK we are lucky not to suffer from severe weather, such as strong tornadoes or hurricanes, a container building would be at least 100 times safer than a conventional building. Although the sturdy design and weight of a converted container might make it seem as if they are locked to a single location, it is actually very simple to transport them to new locations. Shipping containers are not designed to be stationary; they’re intended to be easy to transport. This makes a converted container ideal for use as a home or business, because it can be relocated to suit your developing requirements. We all want to live and work in a safe environment, so this misconception is particularly worrying. There are concerns about the chemicals which used containers may have been in contact with. While we can certainly understand these concerns, here at Flintham Cabins, we would never supply a container which could cause any harm to you. Although there are standard lengths of either 20 or 40 feet, there are other options available such as small 8’ and very long 53′ containers. In terms of height, most containers will measure 8’6”, but there are also many 9’6” containers available. Pop-up containers can create stunning homes, but there are some people who believe it will be a very simple process, without the need for professional assistance. If you are looking to build a complex custom home, it is best to use the services of experienced structural engineers and architects. It is important to ensure the home meets various building regulations before spending too much time and money. Although a small space can be finished and ready to use in just a few weeks, any extensive modifications are likely to require professional help. It is true that a vast amount of the smaller tasks can be completed by anyone with DIY skills, but changes to the structure should be carried out by experienced engineers, such as our in-house team. If you would like to find out more about pop-up containers, please contact our team who will discuss your requirements and find the ideal container for you. This entry was posted in portable buildings. Bookmark the permalink.